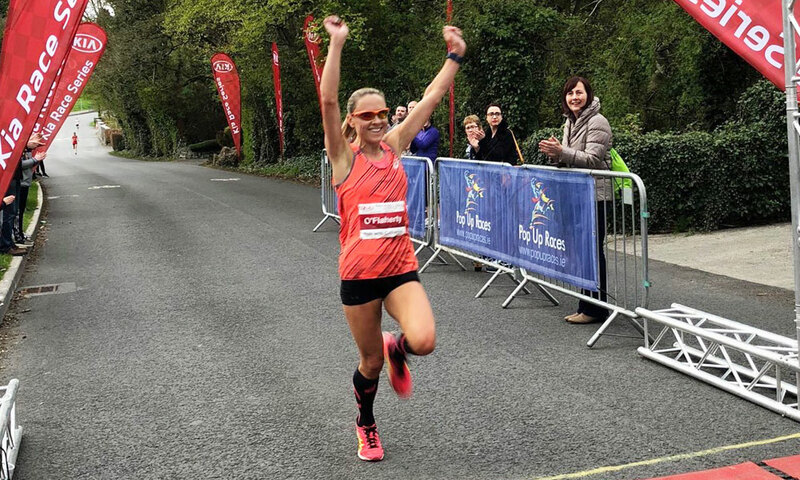 The course records went in Cavan at the Run with Catherine 10km and an Irish Olympian marathoner won the Sonia O’Sullivan Cobh 10-mile in Cobh. 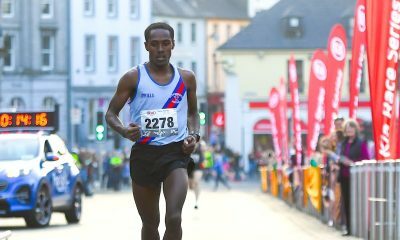 Hiko Tonosa of DSD held off Peter Somba of Dunboyne AC to win the Run with Catherine 10km in Cavan on Saturday (April 28). Ethiopian-born Tonosa finished in a course record time of 30:11, with Kenyna-born Somba three seconds adrift for the runner-up spot. Conán McCaughey was third in 31:54. Kerry O’Flaherty of Newcastle and District was the first woman and eighth overall in a personal best time of 33 mins 57 secs. It was also a new women’s course record. Laura Shaughnessy of DSD was second in 34:11, Teresa Doherty of Finn Valley third in 34:40 and Catherina McKiernan fourth in 36:26. Simon Ryan was first home in the 5km race with a time of 16.00; Aodhagan O’Reilly of Annalee Ac was second in 16:11 and Wishu Gebresellasie of DSD third in 16:29. The first woman was U14 junior Charlotte Moore in 19:54, with Jane Duffy, U16, just behind her for second in 19:55 and Eimear McGovern of St Brigid’s AC third and first W35 in 19:59. The race was the second round of the KIA Road Races Series. 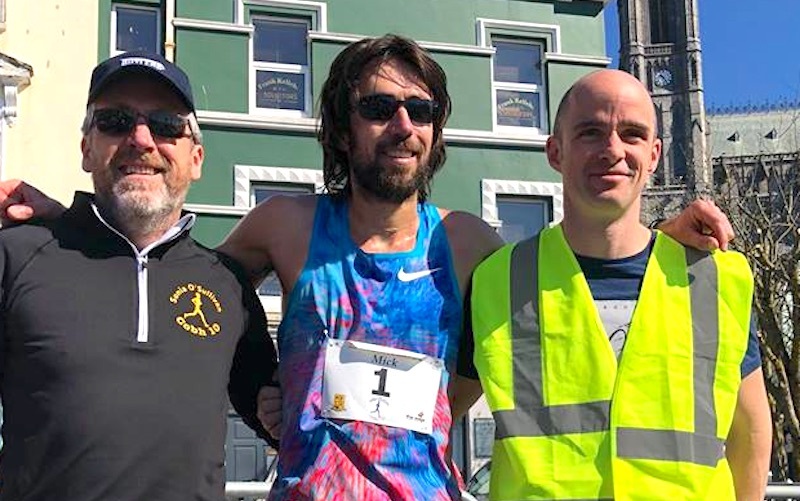 In Co Cork, on Sunday (April 29), Irish international marathoner Mick Clohisey was a class apart at the Sonia O’Sullivan Cobh 10-mile. Clohisey’s fine time of 49:23 saw him finish almost five minutes ahead of Colin Merritt who finished in 54:16. The Raheny Shamrock runner now looks ahead to the Highgate Harriers Night of 10,000m PBs in England next month. Sixth overall and first women was Lizzie Lee of Leevale in 58:28. 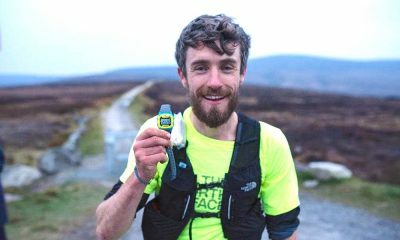 Lee, along with Clohisey, were both named this week in the Irish marathon team for the European Championships this summer. Jill Hodgins, also Leevale, was ninth overall and second woman in 60:44. 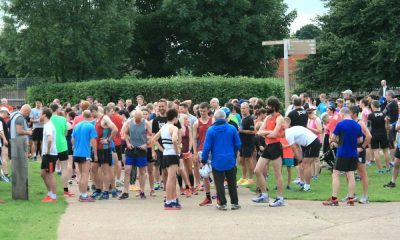 After completing her 100th Parkrun in Cabinteely a day earlier, Sonia O’Sullivan ran around the course in 73:31 finishing fourth in the W45 age group. Over 800 completed the race. Andrew Connick of Ferrybank AC was the winner of the 49th Paddy Flanagan Waterford to Tramore 7.5 mile road race held on Saturday evening (April 8). Connick finished in 39:09, which put him 18 seconds clear of Ger Forde from Slaney Olympic AC who finished in 39.27. Emmett Kelly of Waterford Tri was third in 40:13. Top three of the women was the same as last year but in a different order. First home was Ruth Fitzgerald of Waterford AC in 44:32; Fitzgerald was second last year. Last year’s winner Adele Walsh of St Senan’s was third this year, and Sally Forristal of St Joseph’s who was third last year moved up to second this time. Category winners were 35 Madeline Loughnane (Thurles Crokes AC), W40 Naomi Doonan (Saturday Road Runners) W45 Maria Griffin (St.Joseph’s AC), W 50 Mag Kirwan (Adele’s Eat Train Live ), and W 55 Bernie Prendergast (West Waterford AC). First junior was Sarah Davis . Men’s category winners were M40 Patrick Roche (Carrick On Suir AC), M45 Martin Keogh (United Striders AC), M50 Michael Dunford (West Waterford AC), M55 Darryl Hale (Waterford AC), M60 Joe Gough West Waterford AC. Dunboyne’s Peter Somba led home almost 200 runners at the 127th Clonliffe 2-Mile which started and finished in the Morton Stadium, Santry on a cold and blustery evening on Wednesday April 25. 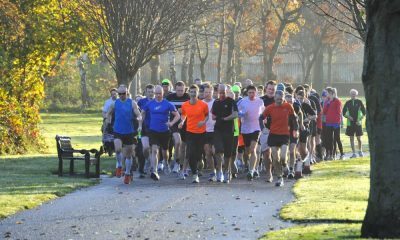 Somba outsprinted Clonliffe`s Ian Guiden to win the race in 9 mins 22 secs, with Guiden a second behind and Conor Duffy of Glaslough Harriers third in 9:26. Fourth and first junior was Efren Guidey of Clonliffe Harriers in 9:32. 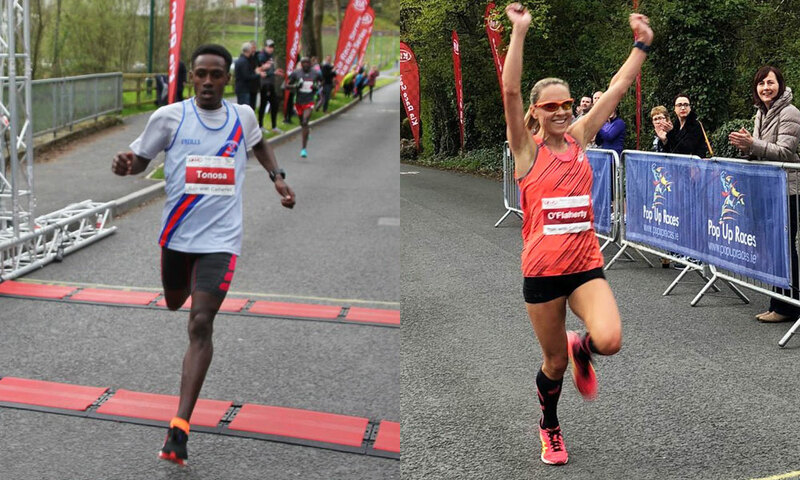 First woman was Nadia Power of Templeogue AC in 10 mins 50 secs, with Ide Nic Dhomhnaill of Donore Harriers just two seconds behind for second and Sorcha Nic Dhomhnaill, also Donore, third in 11:05. First junior woman was Aoife Hession of Clonliffe Harriers. On a bitterly cold evening in Santry, Sarah Murray of Fingallians proved fastest in the women’s 100m running a time of 11.934 secs. Winning the men’s A grade 100m into a -2.8 headwind was Mark Smyth of Raheny Shamrock, who clocked a time of 11.17. A close second was Joseph Ojewumi of Tallaght AC in 11.20. Junior athlete Molly Brown of MSB AC proved quickest in the women’s 800 with a time of 2:17.16. Fastest of the men was Elliott Slade of Donore Harriers who clocked a time of 1:54.19. For a second year, Villanova’s women athletes won all three distance relays at the Penn Relays (April 26-28) in the USA. On Saturday, Siofra Cleirigh Buttner of Dundrum South Dublin AC anchored the 4 x800m team to victory with a blistering 2:02.63 leg. Buttner had also anchored her team to victory in the distance medley earlier in the weekend, running the 1500m leg; Villanova also won the 4 x 1500m. It was the third time in five seasons that Villanova had won a hat-trick of victories. Buttner, who was winning an eight relay win at the Penn Relays kissed the baton as she crossed the line – the victory puts her second on the all-time list in her final college year.